Creative Planner designed by Simple stories is an open invitation to enjoy every moment of our lives. They are very portable –the perfect size for your purse- and versatile. These models have rings, which help to detach the pages and decorate them. The cover is manufactured in faux-leather in many different colour that will make you fall in love. And to make sure that nothing gets lost this planner has a closure in the shape of metallic charm. 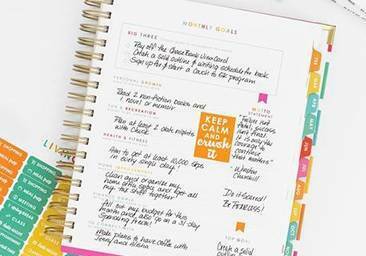 in its interior you will find, among others, an id page, a monthly calendar, contact pages, monthly separators, undated weekly pages, seven decorative pages, small pockets for your cards, a big pocket in the back cover and a pen holder elastic band.